Yes, the dates are right and this is only the 4th edition of “This Week In SigEp Patriots History” for 2014. Since late January, I have been very busy with military training. This is offered to provide some perspective. It is not an excuse, as research and meetings with SigEp Patriots continue in order to learn about every Brother who serves/served, and I strive to do better in the future. World War II Veteran and NH Alpha Brother Captain Theodor S. Geisel, U.S. Army – a man who would affect millions around the world – was born in Springfield, Massachusetts on this date. On this date, U.S. Marine Corps World War I Veteran and NE Alpha Brother Frank Dewey Carman was discharged from military service. Colorado Delta Brother Otto Eastlond, Jr., Class of 1934, entered in to service in the U.S. Army on this date. On this date, Vermont Beta Brother George R. Davis, Class of 1940, entered in to service in the U.S. Army as an Infantry Officer, and would serve more than five years during World War II. World War II Veteran and OK Alpha Brother Lieutenant Foster L. Walker, U.S. Army Air Corps died in an airplane crash near Randolph Field, Texas on this date. Respect can be paid to Brother Walker at Mission Burial Park South, San Antonio, TX. TX Alpha Brother Sutton Reid III joined the U.S. Army on this date. On this date, after completing high school, Karl A. Christ enlisted in the U.S. Navy. Following his discharge at the end of the war, World War II Veteran Yeoman Third Class Christ enrolled at University of Kentucky, brought his leadership to SigEp, and graduated in 1950. World War II Veteran and Montana Alpha Brother Private Walton H. Petsch, U.S. Army was discharged from service with the Army Combat Engineers on this date after injuries received in training. On this date, World War II Veteran and AL Beta Brother Private Frank J. Uricchio, U.S. Marine Corps made the ultimate sacrifice when he was killed in action while serving with Charlie Company, 24th Marine Regiment during the Battle of Iwo Jima. Unfortunately, an extensive search did not reveal additional information about Brother Uricchio, but the SigEp Patriots Project hopes you will contact us if you have such information so that we can honor & remember Frank and his sacrifice. Respect can be paid to Brother Uricchio at Calvary Cemetery, Paterson, NJ. World War II Veteran and VA Alpha Brother Captain John A. Long, U.S. Army was released from military service on this date. A graduate of the Class of ‘40, Brother Long began his service in the Army Quartermaster Corps just days after the attack on Pearl Harbor, and served overseas for more than 34 months. On this date, World War II Veteran and IL Alpha Brother First Lieutenant Robert G. Smith, U.S. Army was released from military service at Jefferson Barracks, MO. 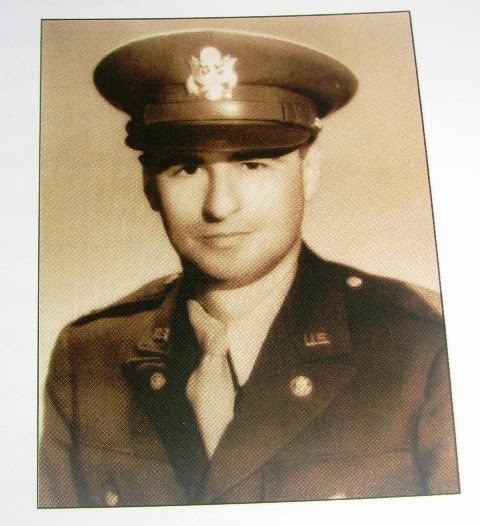 Brother Smith was a graduate of the Class of 1935, and began his military service with the Corps of Engineers prior to the attack on Pearl Harbor. World War II Veteran and Vermont Alpha Brother First Lieutenant Norman R. Stanley, U.S. Army was released from duty as a Field Artillery Officer on this date. 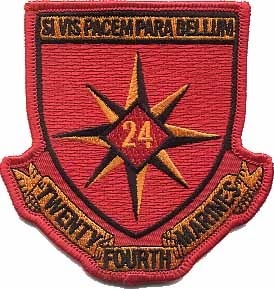 The class of 1941 graduate served in the Army for more than 3 1/2 years, including seven months overseas. On this date, World War II Veteran, U.S. 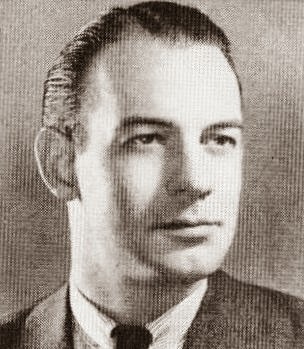 Congressman and DE Alpha Brother Major Herbert B. Warburton, U.S. Army was appointed special assistant to Secretary of Labor James P. Mitchell following one-term in the U.S. House of Representatives. U.S. Army World War I & II Veteran, CO Alpha Brother John “Jack” W. Salisbury died on this date in Palm Beach, Florida. Following his WWI service, Jack attended the University of Colorado at Boulder where he became a SigEp, and served as President of the Associated Students of UC & Captain of the University Track Team, before graduating from the University’s Law School in 1925. NE Beta Brother Second Lieutenant Loren H. Drum, U.S. Air Force began full-time training as one of 12 members of the U.S. modern Pentathlon Team. 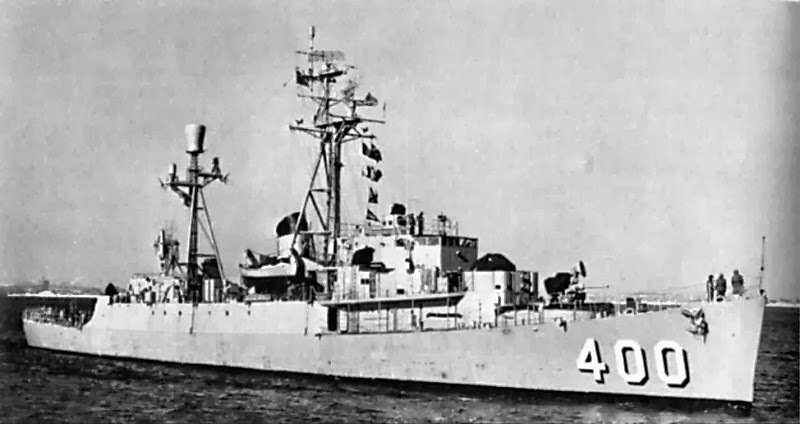 On this date, the USS Hissem (DE-400), named after IL Alpha Brother Ensign Joseph M. Hissem, U.S. Navy Reserve was sunk as a target off the coast of Southern California. Brother Hissem is one of two SigEp Patriots to have U.S. Navy ships named after them. Joseph was a naval aviator killed in action while attacking the Japanese Imperial Fleet at the Battle of Midway. For his heroic actions on that day he was posthumously awarded the Navy Cross – the second highest medal awarded by the Navy next to the Medal of Honor. NE Beta Brother Major Francis M. Hurst, U.S. Army died on this date. The 131st Brother of the chapter at University of Nebraska–Omaha graduated in 1951. On this date, PA Eta Brother Gary W. Zuckerman was promoted to the rank of Captain, U.S. Navy Medical Corps after 19 years of service. Brother Zuckerman joined the Navy after graduating from Penn State and completing his MBA at University of Florida, and would go on to serve America in the Navy for 28 years. 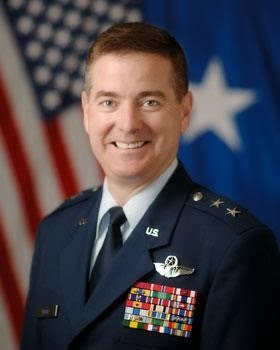 Operation IRAQI FREEDOM Veteran and VT Gamma Brother Michael D. Dubie, U.S. Air National Guard (Vermont) was presented his second star when he was promoted to Major General on this date. World War II & Korean War Veteran and PA Eta Brother Colonel Paul J. Scally, U.S. Air Force (Retired) died on this date in Dewey Beach, DE. Following graduation from Penn State in 1941, Brother Scally enlisted in the U.S. Army Air Corps and attended Officer Candidate School in Miami Beach, FL. During the war, he was stationed in Ghana and Algeria, and traveled throughout North Africa inspecting the air/ground and point-to-point communications systems in southern Europe and the Middle East. Paul was recalled to active duty during the Korean War as a lieutenant colonel, and responsible for Air Force contracts in the Philadelphia/Camden metropolitan area. After Korea, he remained in the Air Force Reserve, retiring as a colonel in 1979. At Penn State, Brother Scally he was a member of the Parmi Nous Honorary Society and a university boxing champion. Paul earned the National Collegiate Boxing Championship in the light heavyweight class in 1941. 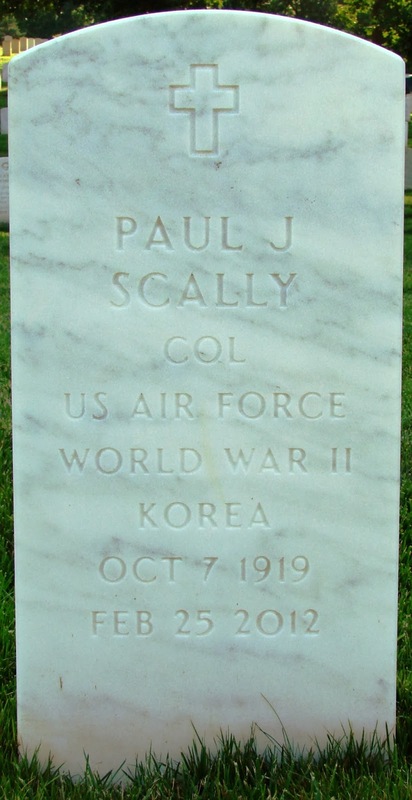 Respect can be paid to Brother Scally at Arlington National Cemetery, Arlington, VA.
U.S. Air Force Veteran IL Delta Brother Robert “Bob” W. Park also died on this date in Burlington, North Carolina. Bob worked in community relations for Keystone Steel and Wire. Later he worked in Chicago for Urban Investment and Development for 21 years, retiring as vice president. Brother Park organized the Heart of Illinois Fair and was appointed manager of the Illinois State Fair in 1970. He served as president of the Illinois Association of Agricultural Fairs, and on the board of Edwards Hospital in Naperville. Respect can be paid to Brother Park at Lutheran Cemetery, Peoria, IL. U.S. Air Force Veteran TX Beta Brother Winford C. Boyd died on this date in a helicopter en-route to an Australian hospital. Brother Boyd and his wife were on a cruise to Australia when Winford became ill. Brother Boyd’s remains were created in Australia and his ashes returned to the U.S. Brother Boyd served in the USAF before starting his own medical practice in Dallas, where he retired from in 1999. 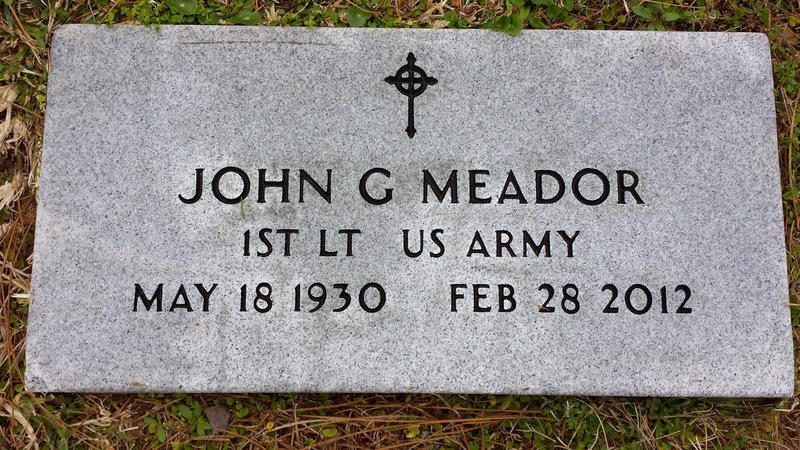 World War II Veteran and WV Beta Brother First Lieutenant John G. Meador, U.S. Army, 81, died on this date in Pensacola, Florida. After he was honorably discharged from the Army, he went to work as a civilian for the U.S. Navy and retired from the Navy Department in 1996. Before graduating from West Virginia University, Brother Meador began his professional boxing career, eventually becoming a Golden Gloves of West Virginia. One of the highlights of John's life was when he coached young boys and girls for many years at the YMCA and City of Pensacola in soccer, & football and baseball. Respect can be paid to Brother Meador at Bayview Memorial Park in Pensacola. U.S. Navy Korean War Veteran OK Alpha Brother Tommy L. Feagins, 80, died on this date at his home in Kingfisher, Oklahoma. After graduating from high school, Tom joined the Navy in 1950 during the Korean War. He served the Navy for four years and was deployed out of San Diego as a fire control technician on the USS Wedderburn (DD-684). After his military service, Tom attended (then) Oklahoma A&M on the GI Bill, and became a Brother of OK Alpha. Brother Feagins was a very successful independent insurance agent, sponsored and coached his sons’ little league baseball teams, was active in the Lions Club, and served on the board of directors of Kingfisher Bank and Trust. Respect can be paid to Brother Feagins at Kingfisher Cemetery in Kingfisher. * U.S. Army Reserve Veteran and PA Eta Brother David R. Collins, 78, passed away 13 FEB in Huntingdon, West Virginia. * Korean War Veteran and WI Alpha Brother James W. “Kitch” Kitchin passed away in Pittsburg, Pennsylvania on 15 FEB due to complications related to a recent stroke and heart attack. He was 85 years old. In lieu of flowers, donations can be made to the Disabled American Veterans or Boys' & Girls' Brigade, Neenah, WI. * U.S. Air Force Veteran and TX Alpha Brother Raymond D. Holstead passed away in Houston, Texas on 16 FEB. In lieu of flowers, donations can be made in his name to The Shepherd Society, Rice University, The Shepherd School of Music, MS 532, P.O. Box 1892, Houston, Texas 77251-1892. * Korean War Veteran and IN Beta Brother Private First Class David A. Bone, Jr., U.S. Army, 80, passed away 22 FEB in Scottsburg, Indiana. * Vietnam War Veteran and OK Alpha Brother Colonel William “Bill” B. Amend, U.S. Army (Retired) passed away 25 FEB in Oklahoma City, Oklahoma. The two-tour veteran of Vietnam received numerous military decorations during his 23 years of service including the Soldier’s Medal and four bronze star medals. Contributions may be made in COL Amend's memory to the Alzheimer's Association, Arthritis Foundation, Catholic Charities, or to your favorite charity honoring veterans. Our thoughts and prayers go out to the families, friends and chapter brothers of SigEp Patriots Collins, Kitchin, Holstead, Bone & Amend. The SigEp Patriots Project (SPP) pledges that their lives and service to the Nation will always be remembered. * On 28 FEB, Operation Iraqi Freedom & Enduring Freedom Veteran, CA Upsilon Brother Staff Sergeant Adam Hicks, U.S. Army Reserve re-enlisted for six years, which will take him to nearly 25 years of service when completed. Thank you for your commitment, Brother! We are always in hearing about your accomplishments and celebrations, and we hope you will send us your great news! * T-shirts with the above logo continue to be sold on www.sigepic.com for $12. * SPP now has the names and other information for more than 4,450 SigEp Patriots who serve/served in the U.S. military. Not on Facebook? All Brothers with service in the U.S. military – including those who are retired, discharged, active, reserve, National Guard, in ROTC, etc. – are welcome to join brothers-in-arms in the listserve by sending an email to sigepswhoserve@gmail.com.